An implantable port is a soft plastic tube with a small reservoir, and is long and narrow. Implantable ports are sometimes called portacaths or subcutaneous ports. These ports are mainly used by relevant healthcare specialists to carry out chemotherapy and other drugs through the port.Implantable ports provide several advantages over traditional options, thus making them highly preferable by healthcare specialists and patients alike. Thus, an extensive use of these ports in recent times has given rise to a distinct implantable ports market. Implantable ports come with a rubber disc at one end, and are inserted into chemotherapy patients in for administrating drugs and medicines needed during the chemotherapy procedures. The ports are kept in place until relevant treatments are completely over. The ports are highly useful when a need arises to provide direct intravenous drug supply to the patients. Apart from chemotherapy drugs, blood transfusions, intravenous fluids, and antibiotics cab also be transferred efficiently through the ports. With increasing cases of cancer all over the world since past few decades, the global implantable ports market is growing at a highly impressive pace. This is mainly due to a high demand existing for use of the ports to treat diseases like cancer efficiently. With increasing disposable income, many patients or their kin can now afford to opt for the use of implantable ports, thereby boosting the market substantially. Also, as chemotherapy is notably toxic in nature, it is best provided with the help of implantable ports, in order to protect skin and tissues. The implantation procedure itself is relatively minor, and is typically performed with both local anesthesia and moderate sedation. Patients often have post-procedure discomfort at the insertion site which is most often managed by administration of acetaminophen or a non-steroidal anti-inflammatory drug such as ibuprofen. When no longer needed, the port can be removed in the interventional radiology suite or an operating room. Implantable ports, which are long, narrow, soft, and thin plastic tubes with a rubber disc at the end, are frequently inserted into chemotherapy patients in order to administrate drugs to individuals. Also called as portacaths or subcutaneous, the diameter of implantable ports ranges from 2.5 cm to 4 cm and are highly useful for patients receiving treatment into a vein. Blood transfusions, chemotherapy, intravenous (IV) fluids, and antibiotics can be transferred efficiently with these implantable ports, which goes a long way in easing out the treatment. With growing prevalence of cancer and other cardiovascular diseases, the demand in the global implantable ports market is anticipated to steadily expand during the forecast period of 2017 to 2025. As per the estimates from the International Agency for Research on Cancer (IARC), which is recognized by the American Cancer Society, there will be 21.7 million new cancer cases across the World. With increasing disposable income, a significant chunk of this vast cancer population are now able to receive chemotherapy, which in turn is incrementing the demand in the global market for implantable ports. Recent technological advancements in implantable ports have also augmented the demand significantly, with the vendors focusing on safety issues. Xcela Plus Ports from AngioDynamics comes with PASV Valve Technology and considerably reduces the complications associated with heparin use. The need for transient materials related to impregnated or coated technology has also been eliminated, which in turn is favoring the growing demand for implantable ports. On the other hand, presence of alternatives such as peripheral IV catheters (PIVCs) and peripherally inserted central catheters (PICCs) is obstructing the market from attaining its full potential. Based on product-type, the global implantable ports market can be segmented into single-lumen implantable ports and double-lumen implantable ports, while hospitals, ambulatory surgical centers (ASCs), and clinics can be the end-user segments of this market. Currently, single-lumen implantable ports and hospitals segments serve the maximum demand in the implantable ports market. Side effects such as infections, clots, and blockages have been the primary obstruction as far as greater adoptability of implantable ports is concerned, but technological advanced ports have tried overcoming that factor to a certain extent. 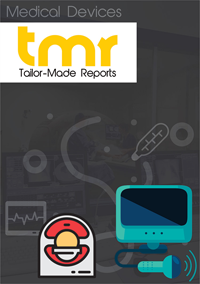 Growing usage of power-injectable ports, growing preference of disposable implantable ports, increasing demand for titanium-based implantable ports, and the presence of safety guidelines are some of the recent trends that augur well for the future of the global implantable ports market. In terms of revenue, North America continues to be the most profitable region for the vendors operating in the global implantable ports, chiefly gaining demand from the developed country of the U.S. which has robust healthcare infrastructure, growing geriatric population, and prevalence of chronic disorders. Europe continues to serve second most demand for implantable ports, although emerging economies such as India, China, and Japan are expected to turn Asia Pacific into a lucrative region during the course of the forecast period. A few tier 1 companies are ahead of the curve in comparison to other tier II or tier III companies operating in the global implantable ports market. While AngioDynamics, C.R. Bard, B. Braun Melsungen, Teleflex, and Smiths Medical account for a significant share of the implantable ports market via technologically advanced products, PaKuMed medical products, Kimal, Cook Medical, Isomed, Medical Components, pfm medical, and Silvermed are some of the other key vendors in this market. Competitive pricing, enhanced safety features, convenience in use, and aggressive marketing are some of the strategies adopted by the key players to maintain their stronghold over the market.